Most of the opposition political parties of the Iranian Kurds that are in an irregular situation in relation to the Iranian political process boycotted the last presidential elections, which took place 14 June 2013. This can be explained by the fact that none of the candidates in the running for president seriously dealt with the issue of the rights of national minorities, though H. Rouhani, the moderate Shiite cleric elected president of Iran, did bring up the question of the ethnic minorities during his presidential campaign. Nevertheless, the opinions of Iranian Kurds as to whether H. Rouhani will change the Kurdish stance in relation to the government are divided. Therefore, the organizations of the Iranian Kurdish opposition united under the banner of the Kurdish United Front (KUF), founded in 2005 by B. Adab, are inclined to make a compromise with the new president, hoping to revitalize their organisation after its structural renovation taking into account current political realities. B. Adab, as we know, was not only a member of the Iranian parliament, but also organizer of the Kurdish factions within it. KUF intends to discuss international and regional issues among its members in order to gradually develop a joint platform for action. Hamanzif Qadiri, a member of the Politburo of the Kurdistan Democratic Party (KDP) said that although the Iranian government does not recognize the rights of Kurds, the KUF will make an effort to find ways for the Iranian Kurdish political parties to interact with the government. But this issue should be resolved first by the Iranian Kurdish political parties. KUF is operational in a number of cities in Iran (Urmia, Ilam, Kermanshah, Hamedan, Tehran, Seine). Other organizations have irreconcilable positions in relation to the government, focusing on the experience of the Iraqi Kurds. The National Democratic Movement of Iranian Kurds is a conglomerate of political organizations, which is nevertheless supportive of the conduction of the Kurdish National Conference, as it is important for the Kurds of ethnic Kurdistan to strengthen the trend toward consolidation of Iranian Kurdish opposition forces. Thus, the three groups of “Komala” immediately joined together to obtain a mandate for participation in the conference. 9 Iranian Kurdish parties based in Iraqi Kurdistan got an offer to appoint five delegates to the Kurdish National Convention. With the exception of the Independence Party of Kurdistan, all organizations of Iranian Kurds got the right to participate. When Komala and KDP determined the composition of the delegation, the Party of Free Life of Kurdistan (PJAK) announced its desire to send a representative to the conference with a delegation of Iranian Kurds. Iranian Kurdish organization does not recognize the Iranian PJAK party. DPIK also does not recognize the legitimacy of the KDP fraction that appeared in 2006. Yet within the framework of the preparation for the Conference, this did not stop the KDP from participating in the Conference as an independent party. 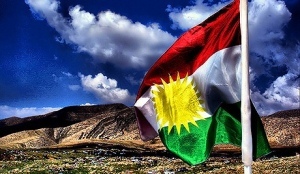 The main purpose of this Conference is to provide a basis for political solidarity between Kurds in ethnic Kurdistan for implementing the aims of ethnic Kurds in the Kurdish areas in their countries of residence (Turkey, Iraq, Syria, Iraq) as well as the global aim of creating a future independent Kurdish state. N. Barzani, Prime Minister of the Kurdish Regional Government of Iraq, for instance, said that “our brothers everywhere deserve a better life and a guaranteed plan for success, as our people have already suffered, and deserve a change for the better”. After N. Barzani’s trip to Iran, V. Vilatbegi, Director of the Kurdish Institute in Tehran, took the initiative to send an official delegation to the Kurdish National Conference, which is scheduled in the middle of September of this year, sending a letter to this effect with the help of two members of parliament to the address of the new president H. Rouhani, who subsequently promised to meet them. But the date of the Conference coincides with the transfer of work to H. Rouhani’s cabinet, which hasn’t yet formulated its political program. V. Vilatbegi believes that the Iranian Kurdish delegation is not representative of all Iranian Kurds. He believes that two delegations should be sent to the Conference: one consisting of prominent Iranian figures, and the other consisting of Kurdish students, lawyers, civil servants, and members of Shiite religious communities. He believes that the congress will pave the way for dialogue between the Kurds and the Iranian government on the one hand, and put the Iranian Kurdish question at a higher level under President H. Rouhani. Nevertheless, the question of an independent Kurdish state will not make ties closer between the Iranian leadership and the Kurdish opposition. It is important to note that Kurdish opposition groups do not have a strong position within all of Iranian Kurdistan. They are relatively weak in the provinces of Kermanshah, Ilam and West Luristane. The Kurdish population is about one and a half million people and are mostly Shiite and largely integrated into Iranian society. At the same time, Feili Kurds in Iraq have been denied Iranian citizenship, despite the fact that they have historical roots in the provinces of Kermanshah and Ilam. These and other issues are on President H. Rouhani’s cabinet’s agenda. However, it is also worth noting that Anwar Hossein Panahi, a Kurdish human rights activist, was recently freed from Sanandaj Prison, where he spent six years. However, the situation in Iranian Kurdistan remains relatively tense. For example, there is a serious threat from Islamist groups – the Ansar al-Islam, an umbrella group of Iraqi Sunni Arab Jihadists, upon the new president of Iran H.Rouhani’s entry into power, urged Iranian Sunnis to join the jihad against their Shiite government. The organization said that all the Sunnis of Iran should “unite under a single banner and start a jihad” in order to force Iran to be “a single nation, the nation of the Koran and the sword”. The leaders of Ansar al-Islam said that Iranian Shiites were too interested in money and power and therefore ceased to represent the Islamic nation. They expressed concern about the growing influence of Shiite policy, noting that their aim is to discredit so-called “Sunni nationalism”. The Iranian leadership is making efforts to get the Kurds to protect their territory from the Islamists. In the summer of 2013, Tehran announced its intention to deploy a new unit of its national security force in the western region of the country, especially in Iranian Kurdistan. It will be called “Razim” and it intends to recruit Kurds. The Supreme Leader, Ayatollah Khamenei, initiated this project, which will have the full backing of the government. Its task is to maintain stability and security in the region. However, representatives of Kurdish militant groups express a differing view: they believe that these units will also fight against the Kurdish opposition in Iranian Kurdistan. Although the Kurdish opposition has not conducted military operations against the Iranian government since 1996, the government is still very concerned about the political processes underway in the Kurdish territories of Turkey and Iraq. According to some Kurdish observers, Iran fears the rise of Kurdish nationalism in Iranian Kurdistan, one of the most impoverished areas of Iran, where Kurds are victims of ethnic and religious discrimination. Along the Kurdish Region of Iraq, Iran (or rather the IRGC) has deployed armed units, tanks as well as armoured personnel carriers. Military bases and other military facilities have also been constructed in the region. The start of a constructive dialogue with the opposition of Iranian Kurds advocating an armed solution of the Kurdish question could become a major event in the history of the Kurdish problem in Iran. This would alleviate the tension that exists in their relationship with the Iranian government and open up new opportunities for the socioeconomic development of the region. However, the participation of the Kurds in the Kurdish National Conference, leaves little hope for the positive development of these relations.